Blackberry is back again with an all touchscreen device named "Blackberry Motion". The Perennial leaker Evan Blass shows off the latest BlackBerry phone made by Chinese company TCL yesterday. The company's latest phone, is an all-touchscreen affair. Somewhere in August, CNET reported that the device will be called the BlackBerry Motion. That's courtesy of an image and information from Evan Blass, a serial leaker with a strong track record for accuracy. 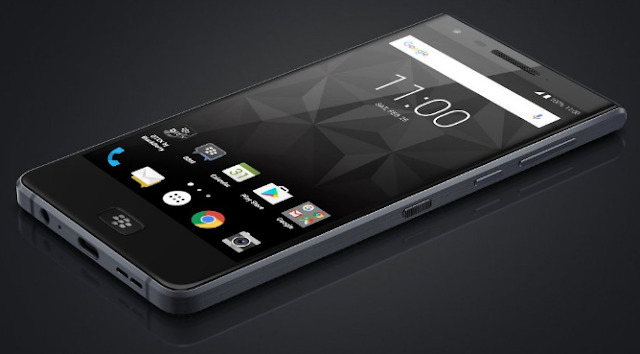 The BlackBerry Motion is followed-up to the KeyOne, the first phone released under TCL's licensing agreement with BlackBerry to build and sell the devices. BlackBerry has removed itself from the hardware angle, focusing fully on business security and software. TCL has been best known for making budget televisions and phones under Alcatel OneTouch devices. Now that have become business partners with Blackberry, I hope they win some customers and TCL intends to create a new portfolio of products with the BlackBerry name.